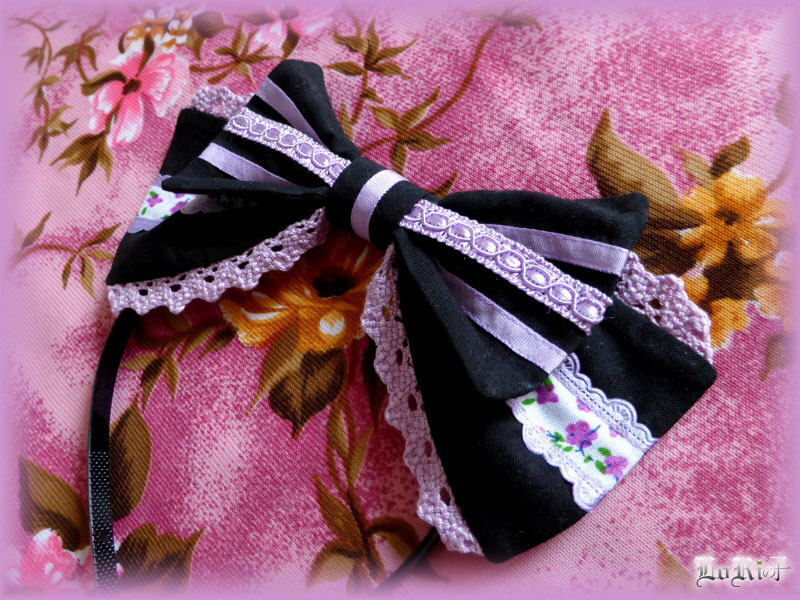 Black head-bow. 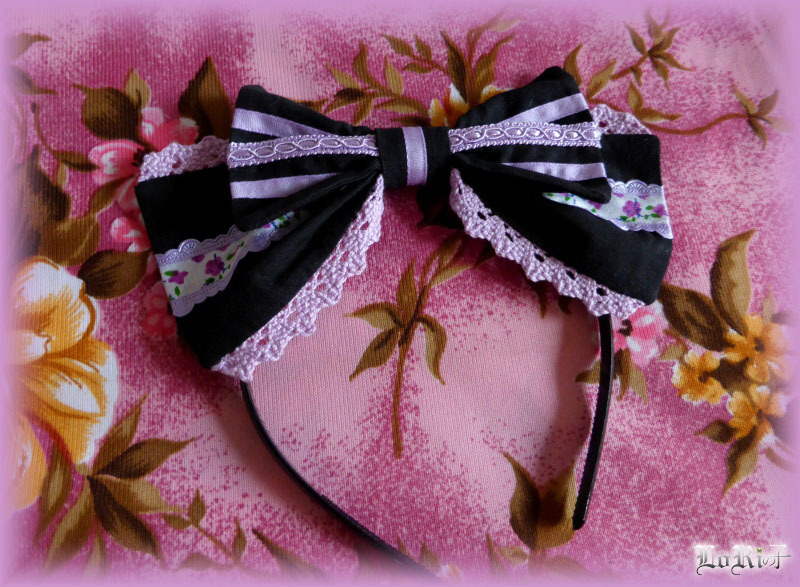 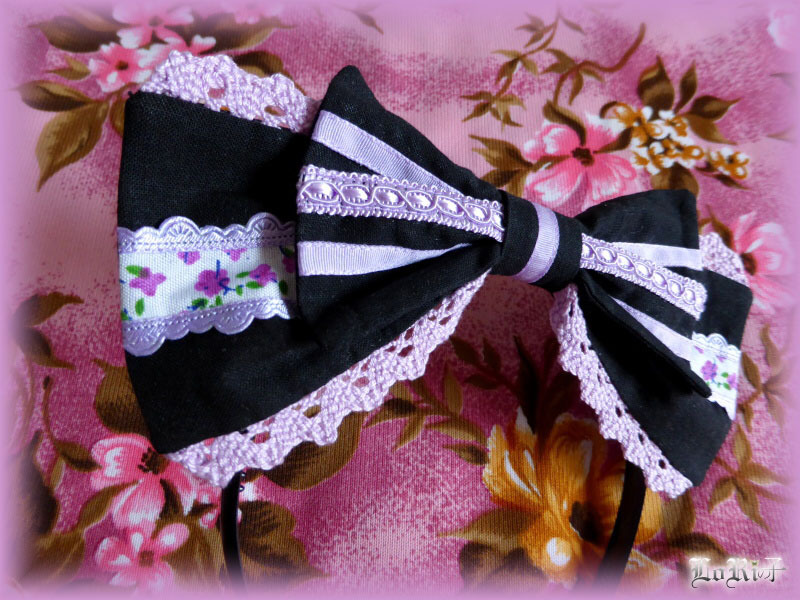 Used material and design is almost identical with the white version Violet Romancia Headband. 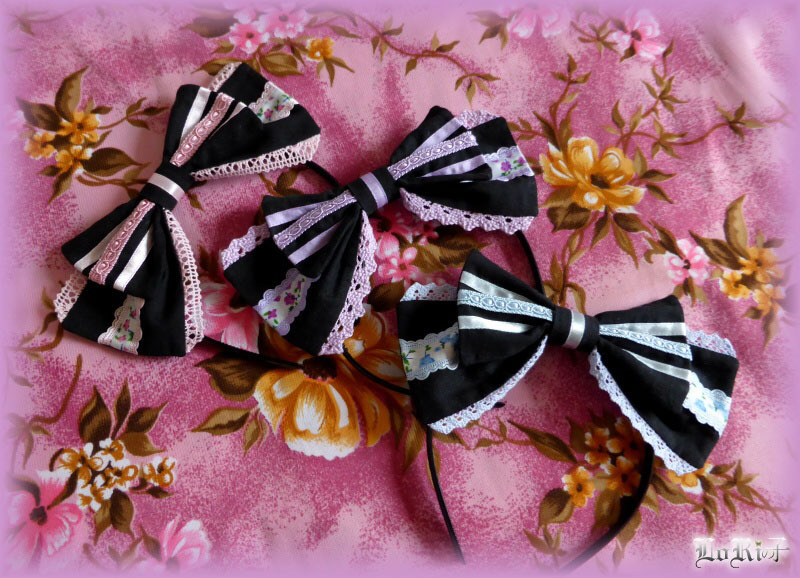 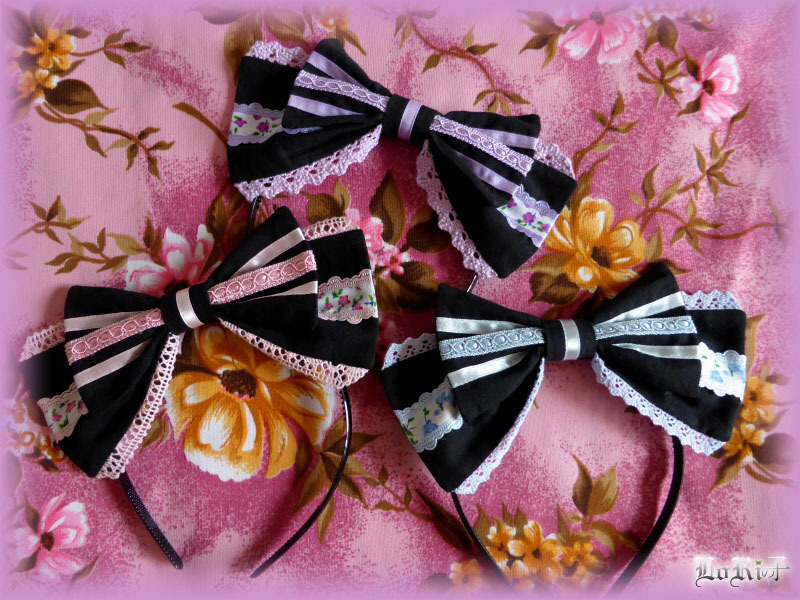 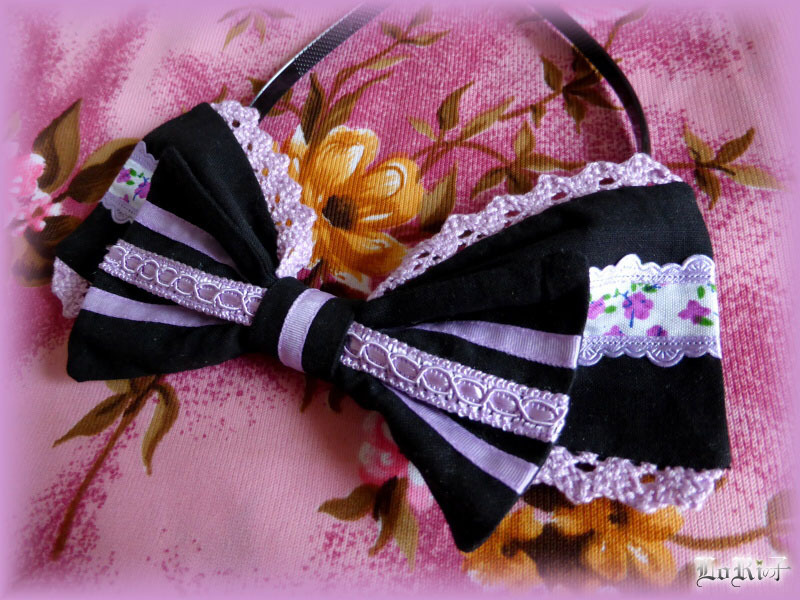 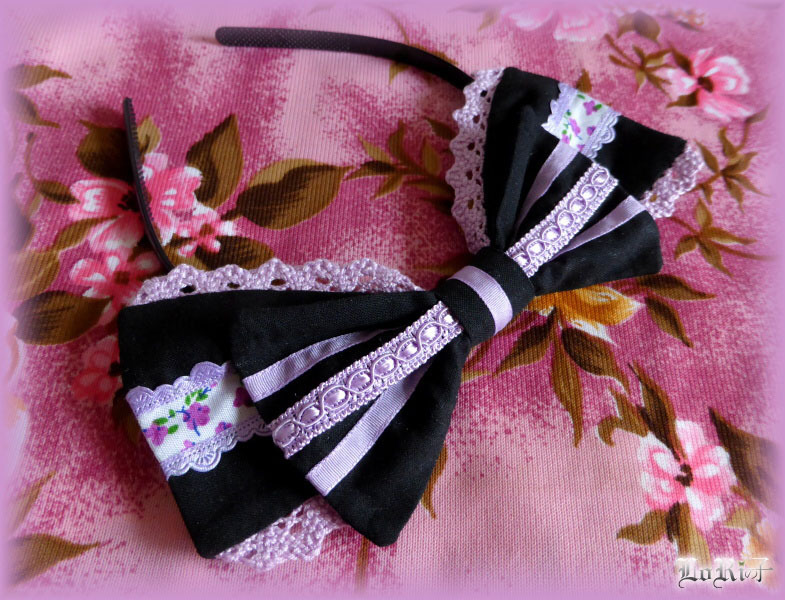 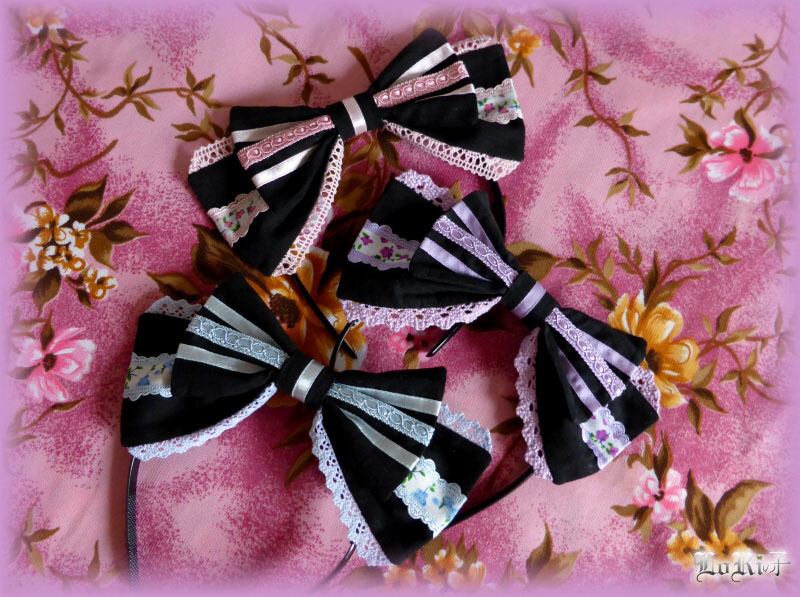 It is decorated with soft-purple lace, satin ribbons and beautifully ornamented purple-white ribbon with flowers. 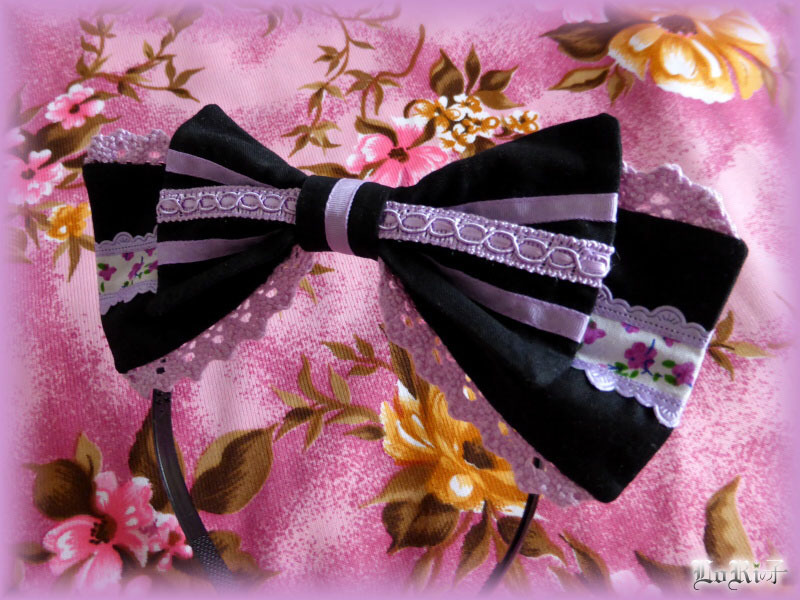 The edges are ended with soft-purple cotton laces.